For the perfect outfit, you need to start with the perfect top! 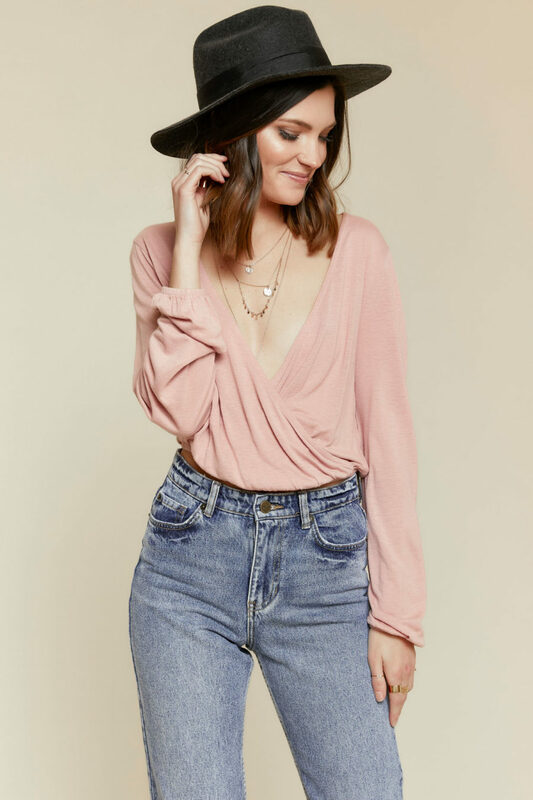 Finding a top that compliments your style, fits and flatters your figure, and is good quality that will last you for seasons can be a struggle, but we’re here, with an extensive collection of blouses, crop tops, long sleeve, short sleeve, tank tops, and t shirts, to make sure you’re looking your best for every occasion! Whether your style is boho chic, trendy, or classic, we have a variety of tops that you will look and feel great in! From casual, cute graphic tees and tank tops, to fun and sassy crop tops, and blouses you can easily dress up for that special occasion, we’ve got everything you’ll need. 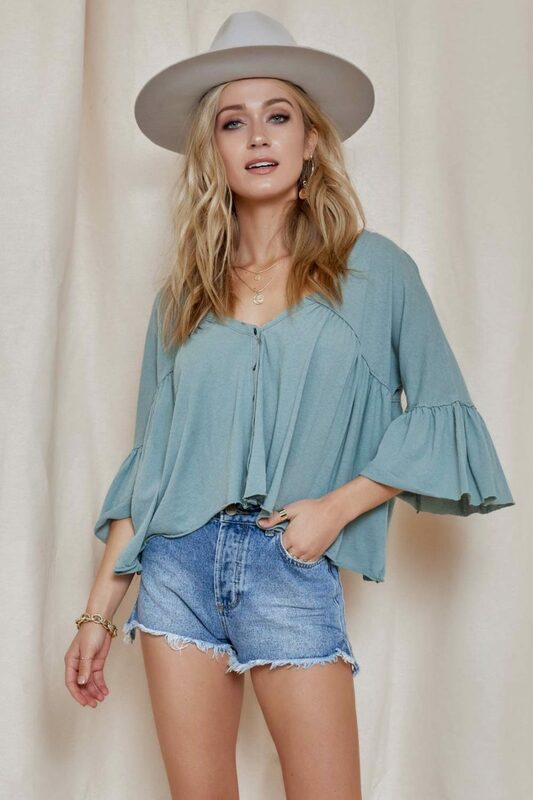 There are so many ways to wear these trendy, boho, and classic tops, so you can really let your personality shine through how you style your outfits! And the best part? All of our tops are great quality so you can keep looking stylish year after year! Shop all tops here! In order to make sure you have an eye-catching outfit, you have to have the perfect top to go with it! Bittersweet Boutique offers a wide variety of chic, boho tops to keep you looking as trendy as always! From fun colors like red, green, blue, and orange, to our more muted favorites like blacks , whites, and greys, we've got you covered with colors! Whether you are having a more casual day and looking for something cute, but cozy, or the perfect boho top for a night out, we have got you covered! No matter what your fashion needs may be, the brands we carry will ensure that you are dressed to impress for the occasion. With all of the classic boho womens tops we carry, our main goal is carrying a piece that suits everyone’s unique style. If you are looking for a boho top that is suitable for your workplace, BitterSweet carries a wide range of brands that will be sure to have you looking professional, yet trendy at the same time. Check out the business formal womens boho tops that brands like ASTR The Label or Rails carry. With their exclusive, high quality tops we are sure that you can find something that keeps you fit for the job while still looking fashionable and trendy! Ready to show off your trendy style to your date or your friends? We have the trendiest boho tops online that will keep you dressed to impress. Whether you’re looking for a top that is perfect for your date night, or a fun crop top for a night out with the girls, BitterSweet has your back! 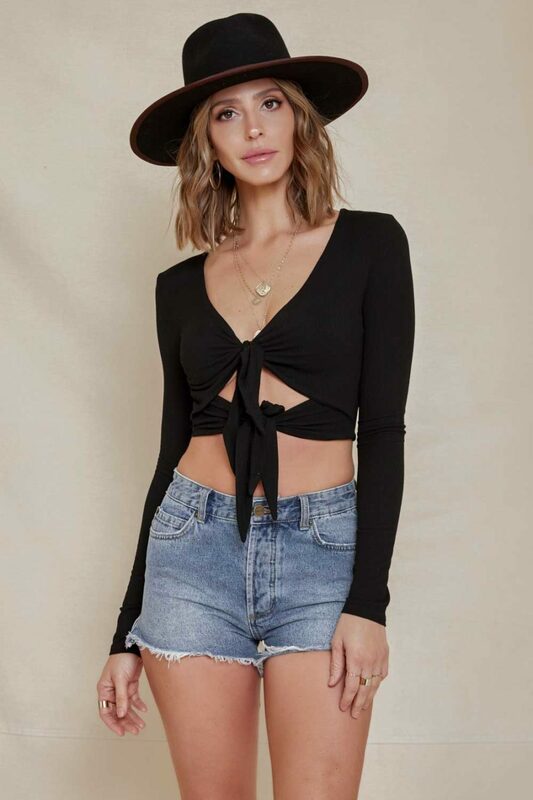 With their designs that have the trendiest patterns and the cutest detailing, For Love and Lemons has the chicest, boho tops that are sure to wow your date. 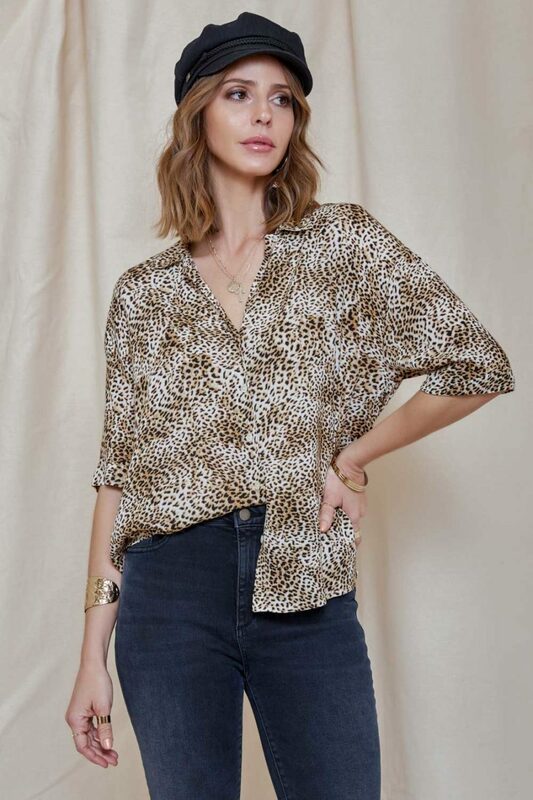 Or, if you’re looking for something that still has extremely cute and trendy patterns but is just a little bit more casual for a night out with your friends, check out Saltwater Luxe or Sage The Label to find the most stunning pieces. One of our biggest goals at BitterSweet is to make sure you have a piece for every occasion that makes you feel confident. We have a wide variety of chic, boho womens tops that are perfect for any kind of night you have planned! No matter your age, you are sure to find something that perfectly fits your needs while shopping online at BitterSweet. Our selection of brands works for anyone’s age and with our variety of brands and styles, you are surely able to find something that perfectly fits your classic style! 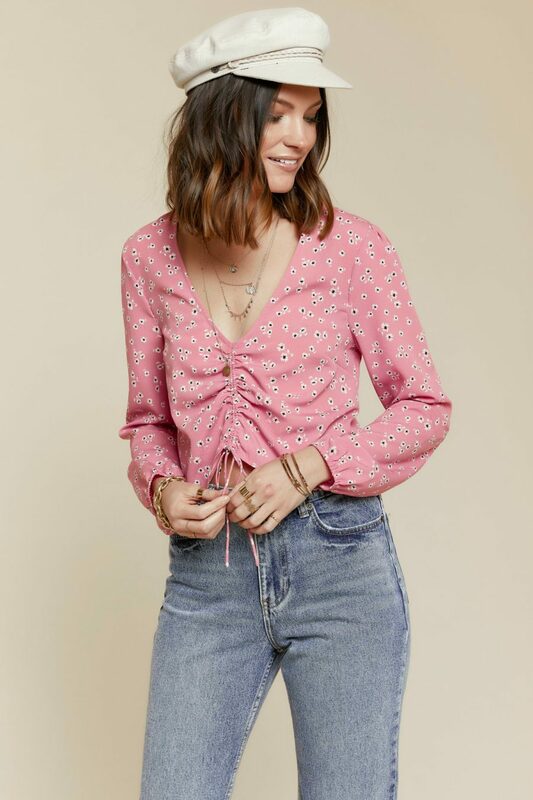 If you are younger and you are looking for a very fun and trendy boho shirt, check out the brand Free People. 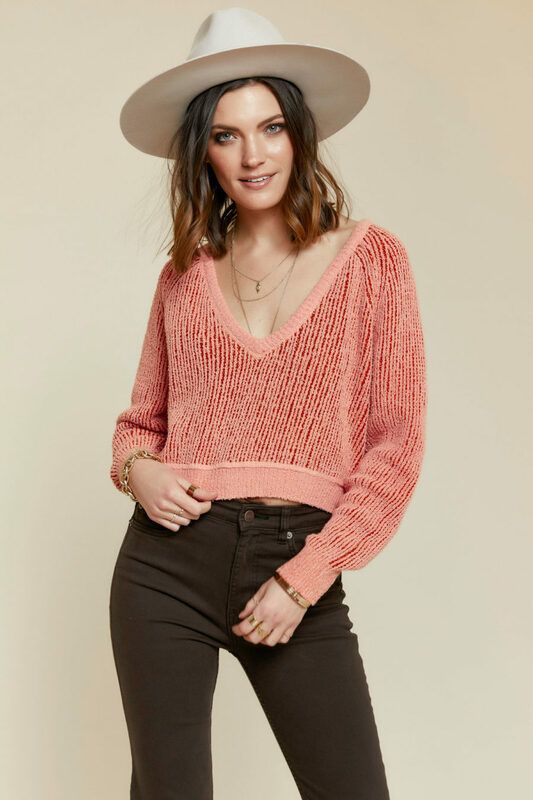 Free People has the comfiest and cutest boho tops that are perfect for those that are young or young at heart! However, it doesn’t end there. Free People also makes the best tops for a casual day out for a trendy woman of any age! Be sure to check out the newest Free People boho tops that are sure to have heads turning no matter where you are! Casual, yet fashionable tees are one of the biggest style trends at the moment. Paired with some cute ripped jeans and a cardigan on top, boho t-shirts are a must-have in your wardrobe. The best thing about a boho t-shirt is that you can dress it up or dress it down. 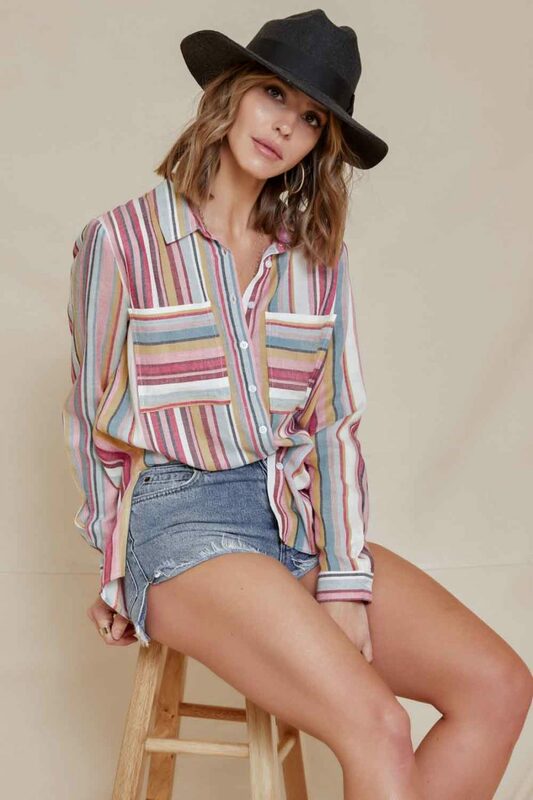 If you’re out for the day running errands and need an easy going shirt or going for brunch and looking for something you can dress up a bit more, BitterSweet has the trendiest boho t-shirts that will keep you looking as fashionable as ever. Check out our brands like Amuse Society and find one of the best brands for boho tees. With the fun, creative sayings and chic designs on the shirts, we know you will feel comfortable while still dressing with style. Summer is one of the best times to show your stylish trends by wearing a cute and easy boho womens top. 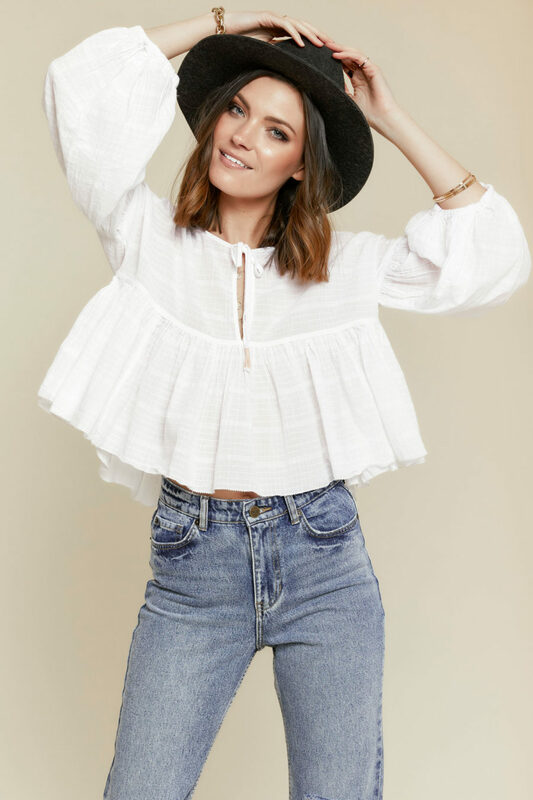 BitterSweet always knows exactly what you need when it comes to trendy boho summer tops! BitterSweet offers summer tops such as cute crop tops, off- shoulder tops, and flowy tank tops! Free People, Saltwater Luxe, and For Love and Lemons are some of the brands we carry that create the trendiest summer tops! Whether it be on a vacation or casual day around town when the weather is warm, at BitterSweet you can find the perfect summer top for any occasion that fits your unique style. Furthermore, black has always been a popular color of choice that is a must-have in every woman's closet. Black boho tops are one of BitterSweets specialties. The perfect thing about any piece in the color black is that it looks great on anyone! A black boho top can be dressed up with some boho chic jewelry for a night out or worn with a pair of jeans for a more casual day look! Our brands at BitterSweet have a wide variety of unique styles that all incorporate the color black which is extremely important when you are building your dream wardrobe! As they say, every woman needs a Little Black Dress, so go ahead and invest in a high quality Little Black Top that you are sure to feel amazing in. No outfit would be complete without a fashionable, boho top that fits your unique style. 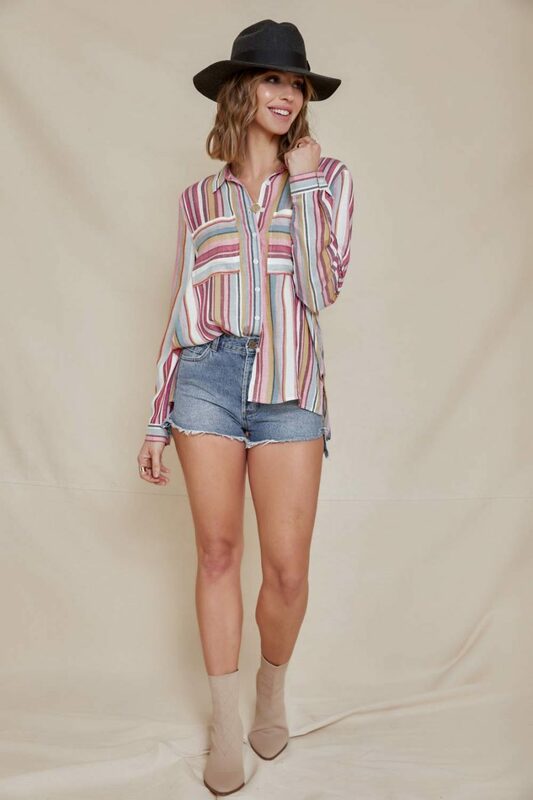 At BitterSweet, we have so many different brands making the trendiest and tops that will reflect your individual character and make you stand out amongst the crowd! No matter the occasion, your top is the completing piece, so go ahead and take a peek into our collection of trendy, classic, and boho tops that will spice up your closet. Treat yourself to a top almost as amazing as you are babe! Shop with us in Roanoke, Charlottesville, or Lynchburg,VA or of course at our trendy and boho chic online boutique!